Stock and broth are often confused as interchangeable. In some cases, they may be, but there are differences between the two in both taste and use. Broth is a liquid that has meat cooked in it and is typically cooked for a shorter amount of time, strained and then seasoned. 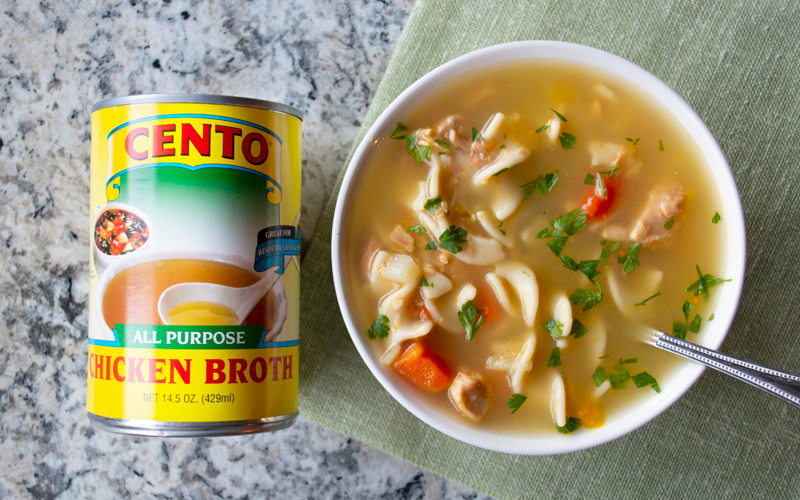 Broth is a light, flavorful liquid that is fully seasoned and can be enjoyed on its own. Broth isn’t cooked for an extended period of time because the meat cooks quickly and if overcooked, the meat will become tough and flavorless. 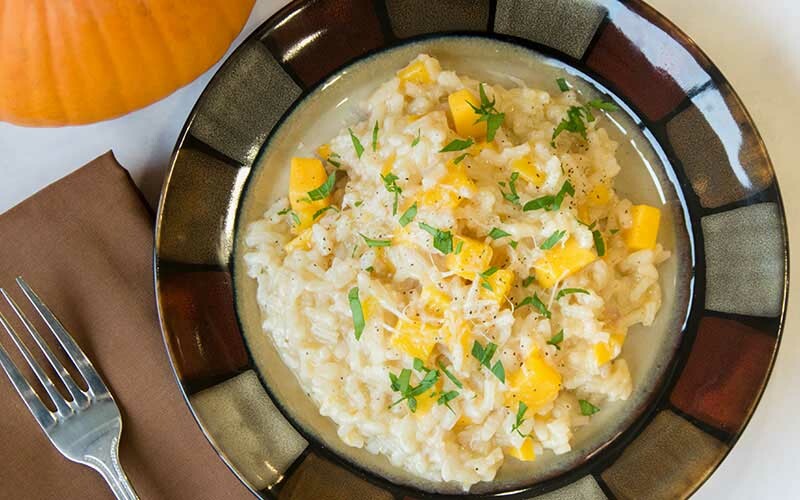 Broth can be served alone or used as the base for a light soup or risotto. Stock, on the other hand, involves cooking bones in liquid for a thicker, richer mouth feel and fuller body. 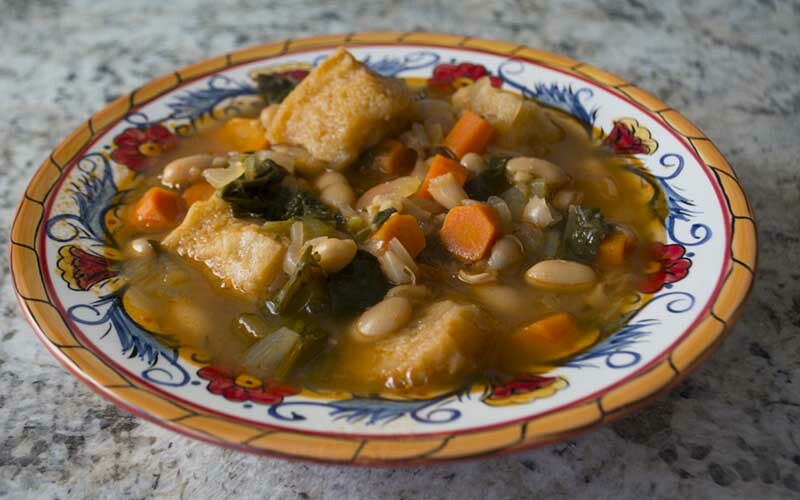 Stock has a milder flavor than broth because stocks are an unfinished product and base ingredient to use as a foundation for other meals and preparations. 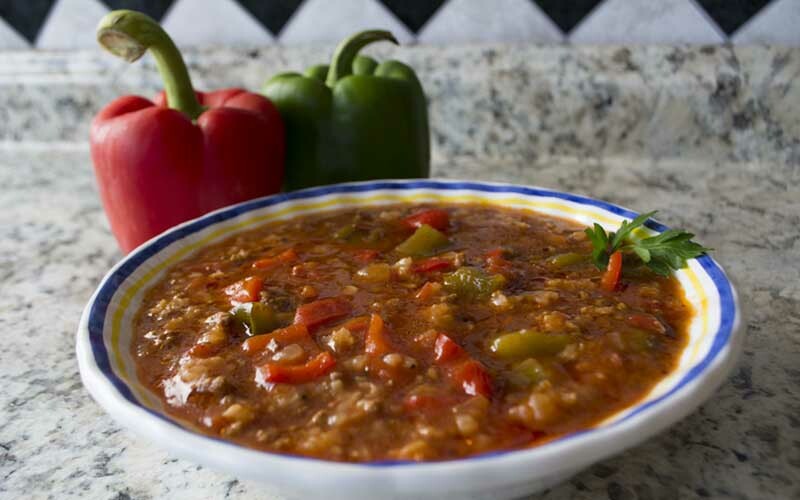 Higher in texture than broths, stock is typically used to create pan sauces, gravies, stews or a recipe that requires a reduced liquid that can be seasoned to complement a specific dish. For consumer convenience, Cento stocks come with a twist-cap perforating aluminum safety seal. A one-step process to opening your new stock, there is no longer a tab to pull or cut under the cap! Simply unscrew and pour. By twisting the cap, the tamper evidence ring will break away from the cap, producing a click sound, and the teeth under the lid will break the inner aluminum safety seal. A base ingredient for enriching the taste of any meat or poultry based dish, gravy, or sauce. When compared to a fully-seasoned broth, stock tends to be a subtler/more subtle flavor intended for the addition of seasoning and other ingredients. 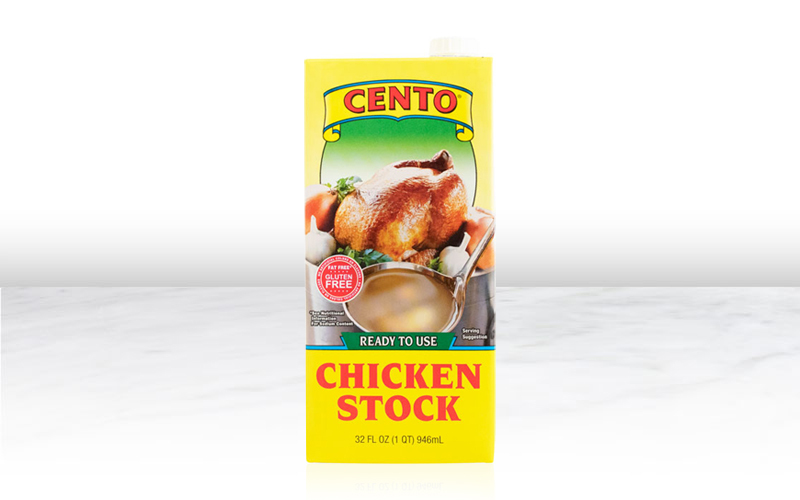 Cento Chicken Stock offers a full-bodied, minimally seasoned flavor for use when preparing sauces, gravies or a recipe requiring a reduced liquid that can be seasoned in your kitchen to complement a specific dish. A prime ingredient used to enhance the succulent, meaty flavor and richness of your meat/poultry dish and gravy. 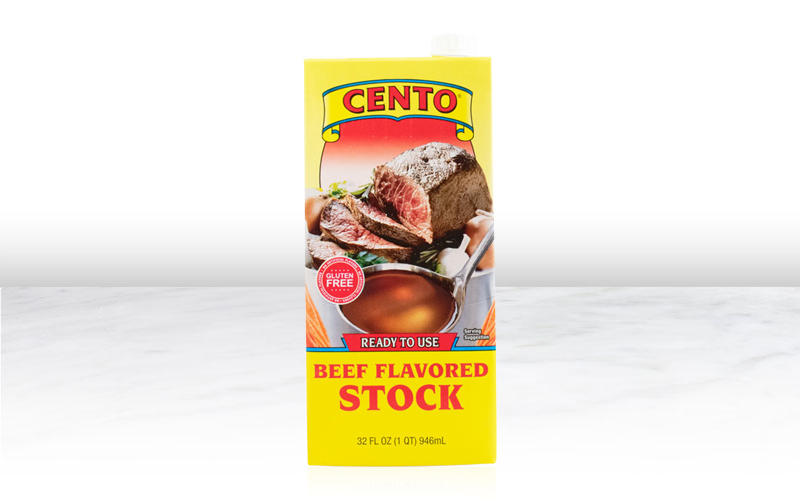 Cento Beef Stock has a full-bodied, minimally seasoned flavor; whereas our broth is fully seasoned, refined and ready to eat. Use stock when preparing pan sauces, gravies or a recipe requiring a reduced liquid that can be seasoned in your kitchen to complement a specific dish. 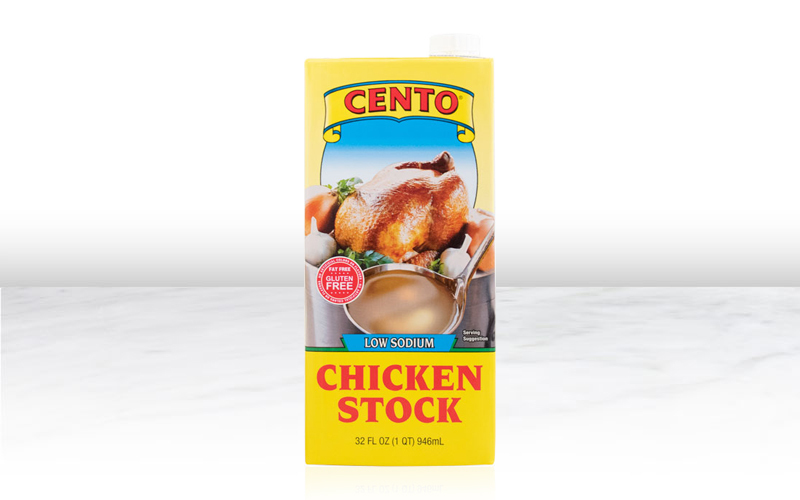 Cento Low Sodium Chicken Stock has a full-bodied, minimally seasoned flavor that can be used to enhance the succulence, meaty flavor and richness of your dish without the added sodium. 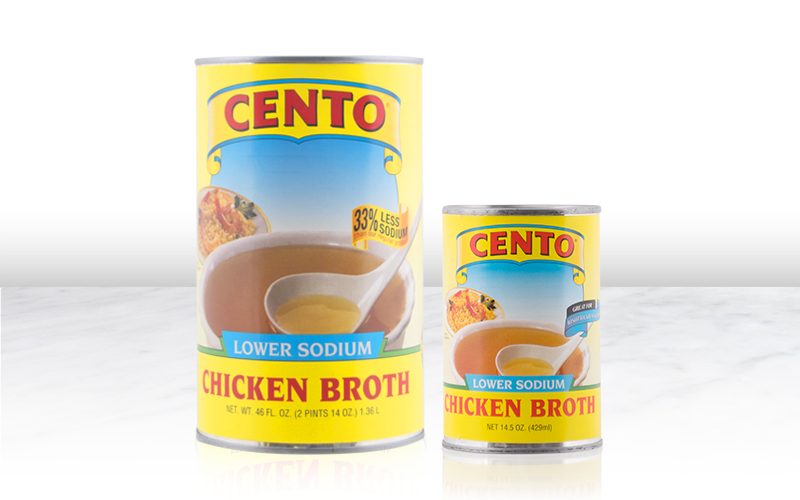 Cento Low Sodium Chicken Stock has 1/3 less sodium than regular chicken stock and can be used to liven up risotto, to create your favorite soup, or to enhance a sauce for your favorite pasta dish. 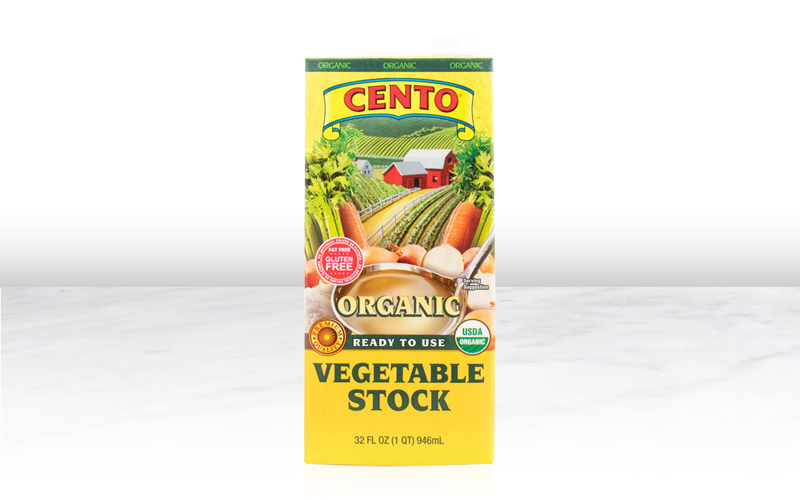 Cento Organic Vegetable Stock offers a full-bodied, minimally seasoned flavor for use as a base ingredient when preparing pan sauces, soups, gravies or a recipe requiring a reduced liquid. Our USDA certified organic stock is minimally seasoned so you may season it to specifically complement any recipe. Cento All Purpose Chicken Broth, made from chicken stock, is versatile and can be used to liven up risotto, make a delicious soup, or in a variety of your favorite recipes. 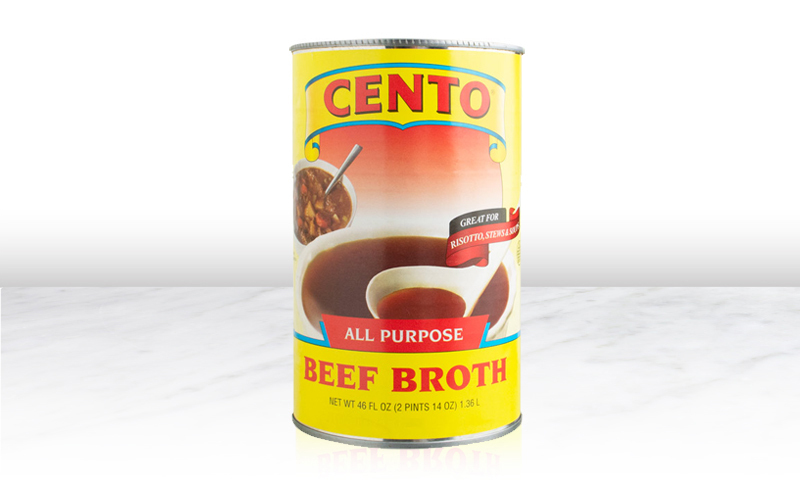 Cento All Purpose Beef Broth is a rich broth made from beef stock, perfect for your favorite risotto or soup recipe.